It is quite apparent that Georgia’s elections are deeply flawed. As WhoWhatWhy has been reporting extensively, there are problems that begin with voter registrations and poll closures, extend to rejected absentee ballots and long lines, and culminate in lax security at polling sites and voting machines with no paper trail. Many of these problems were created on purpose. State legislators passed laws and election officials enacted policies specifically designed to place obstacles between Georgians and their right to vote. However, while these individuals in power have carried on the state’s dark history when it comes to disenfranchising segments of the population, there are also people on the grassroots level who have made it their mission to remove these barriers to the ballot box. WhoWhatWhy video producer and editor Kate Walker told the story of one of them: Beatrice Williams, who witnessed the ugly side of voter suppression as a child and decided to make it one of her life’s missions to help her fellow Georgians exercise their right to vote. Please watch and share her uplifting story. 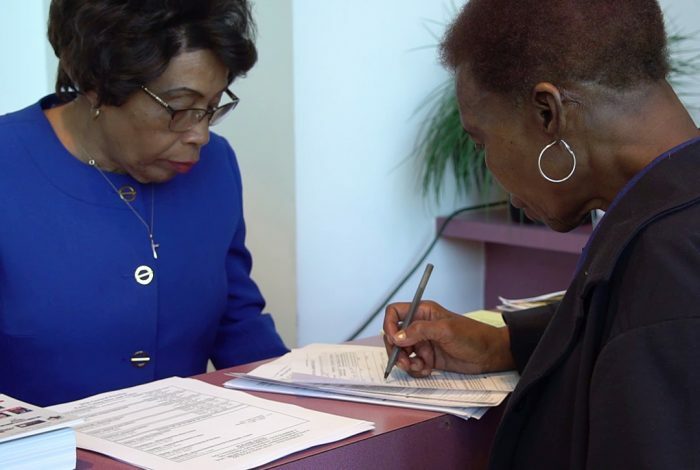 It is just one example of people across the country who are taking a stand against voter suppression, disenfranchisement, and injustice as the US inches closer to the crucial midterm election.